The Windows 10 Anniversary Update is upon us. It's not just for PCs; it's for Xbox One and Windows phones as well. Of course, Windows 10 didn't launch on the Xbox One until November, which is probably why Microsoft called it the Summer Update or the August Update. The Windows 10 Mobile flavor is still called the Anniversary Update (AU), despite not really being the anniversary of anything Windows phone related. After all, Windows 10 Mobile didn't officially launch until November when the Lumia 950 and 950 XL began shipping. The OS wouldn't be made officially available to older devices until March. Also, that upgrade would only be offered to a small subset of existing Windows phones. Windows on phones has a low single digit market share, and according to AdDuplex, just 11.9% of those Windows phones run Microsoft's latest mobile OS. You'll need to be on that short list of supported devices to grab the Anniversary Update, or have one that shipped with Windows 10. Most unsupported devices had a workaround to get Windows 10 Mobile by using the Release Preview ring, but this method doesn't work anymore, and even if you got it while you could, you're not eligible for the AU. With that in mind, here's what's new in the Windows 10 Mobile Anniversary Update. Cortana was introduced over two years ago with Windows Phone 8.1. 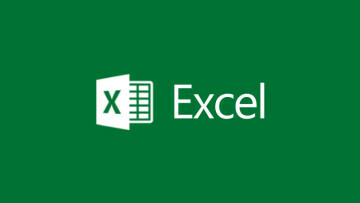 Since then, it has become more and more central to the Windows experience, as well as to Microsoft's overall strategy. No longer just a voice assistant, it's now a bridge between all of your devices. You can now find Cortana on your PC, Android or iOS device, and with the Anniversary Update, your Xbox One. This allows Microsoft to create a single experience across all of your devices. 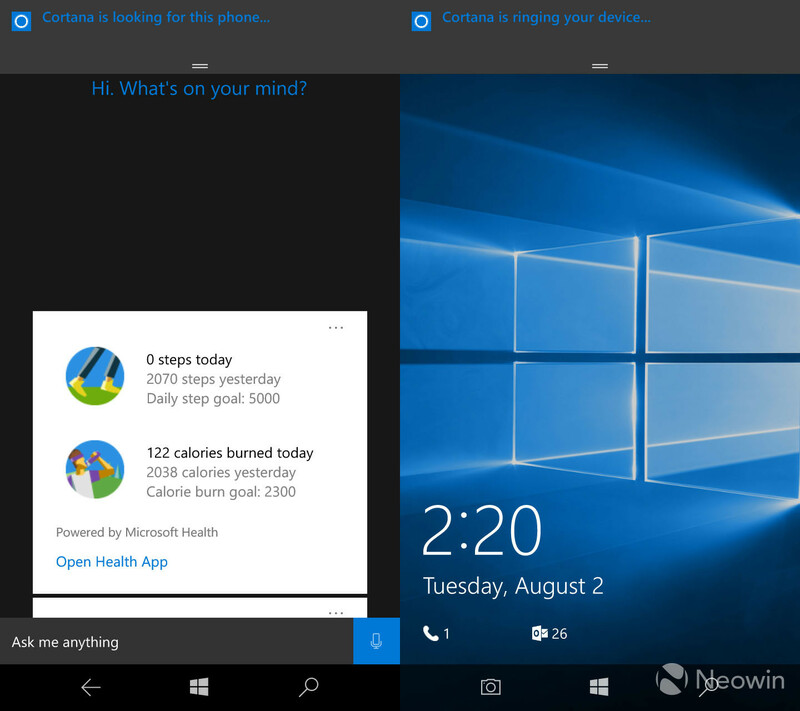 For example, Cortana can now find your phone for you. If that's not good enough, it can ring your phone. This is part of the seamless integration that Microsoft is attempting to create across devices. Did you take a beautiful photo with your Lumia that you want to edit on your PC? You can just ask Cortana to send it over, and it does it. You can also share map directions between devices. All of these new features seem to work seamlessly, including the ability to sync notifications across your devices. After all, no one likes having to pick up their phone to check a notification while using their PC. Now, you don't have to. One feature that I particularly enjoyed is that Cortana will now automatically download the appropriate language for you if it's not installed. I live in the United States, where the Lumia 930 was never sold, but boy do I love my 930. Of course, it doesn't come with English (US) preinstalled. Normally, setting up Cortana would require a redirect to Settings, but no more. You'll also have the opportunity to create reminders that you can add the details to later. Photos can now be added to reminders as well. Photo reminders are a nice visual addition to notifications, especially given the improvements to the Action Center, but we'll get to that. As I mentioned earlier, Cortana is a core part of the Windows experience. It's about having one thing with you wherever you are. The ability to be able to ask your PC where your phone is, ask your phone to send a photo to your PC, or even set a reminder on your phone and have it notify you wherever you are or whatever device you're using, is wonderful. Yes, your camera can likely do more now than it could before, no firmware update necessary. Also, you'll find that many of the improvements in the Mobile version of the AU come in the form of app updates, as there aren't an incredible amount of fundamental changes to the OS. But yes, panorama functionality has been added to Windows Camera. This is a feature that users have been waiting for for some time. After all, Microsoft ended support for Lumia Panorama back in September. You'll also find a pleasant surprise for you on the lockscreen. The back button is replaced by a button to launch the camera. This can be extremely useful for users of devices that don't have physical camera buttons. The only area where this feature gets clunky is on phones that have hardware navigational buttons. On these devices, the back button is not reprogrammed to be a camera button. Of course, for most this won't be a big deal. Most phones that are supported for Windows 10 Mobile and have hardware buttons also have camera buttons, such as the Lumia 830, Icon, 930, and 1520. This is more likely to affect the super low end, such as the Lumia 430 and 435, which have hardware buttons but no camera button. 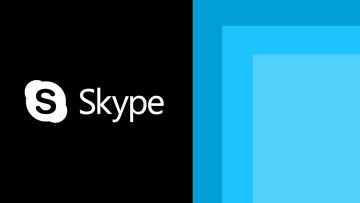 Windows 10 Mobile will now come with a new app called Skype Preview, which will replace the Windows Phone 8 app that currently exists. To be honest, this is a blessing, as the WP8 app is absolutely horrid. It also might be worth pointing out that that app will no longer work soon. But why would you need a new Skype app when the service is integrated with Messaging? I'm glad you asked. Even though earlier previews for the AU saw Skype improvements to the Messaging app, Microsoft decided to split the two, instead promising Messaging Everywhere. This would allow PC users to send SMS messages from their PCs. The company would later abandon its Messaging Everywhere ambitions, essentially leaving a dead Messaging app on Windows 10 for PCs. That SMS messaging will now work with the new UWP Skype app. Well, it will work eventually. But in case you missed it, Microsoft integrated Skype and SMS, decided that was a bad idea, made a new Skype app, and then promised to integrate the two in the Skype app instead. All of Microsoft's confusion aside, the new Skype Preview app is really great. I highly recommend checking it out. Settings have been fairly overhauled. You'll see that individual pages now have icons next to them, which I'm completely in favor of. In fact, I'm in favor of anything that brings us further away from the completely text-based settings of Windows Phone 7, 8, and 8.1. You can also set active hours now. This will allow the user to set times when the phone shouldn't automatically install an update. You're allowed to have a schedule of up to 18 active hours a day, which interestingly enough, is different from the 12-hour limit that's imposed by Windows 10 for PCs. 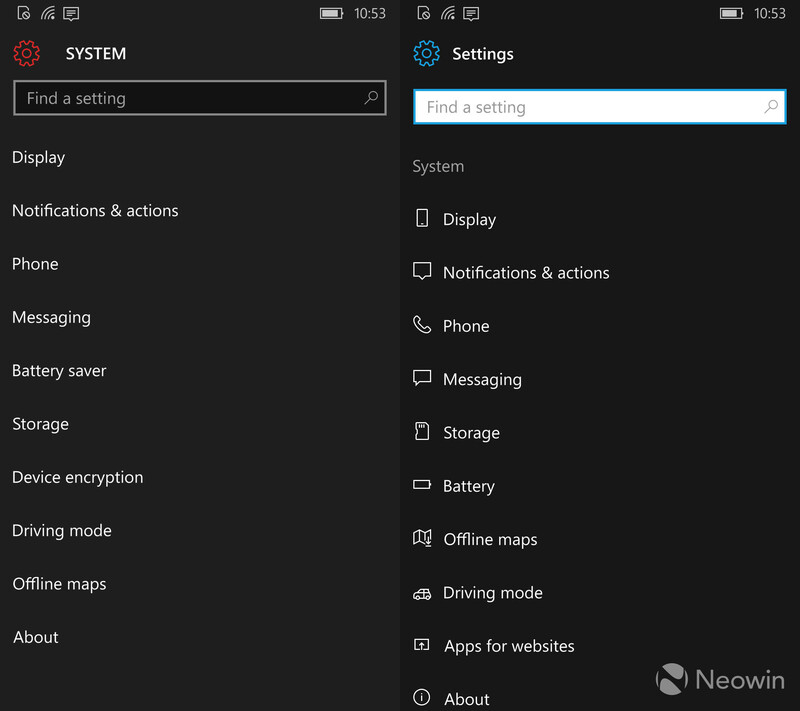 Windows Insider Program settings finally have a place in Windows 10 Mobile. 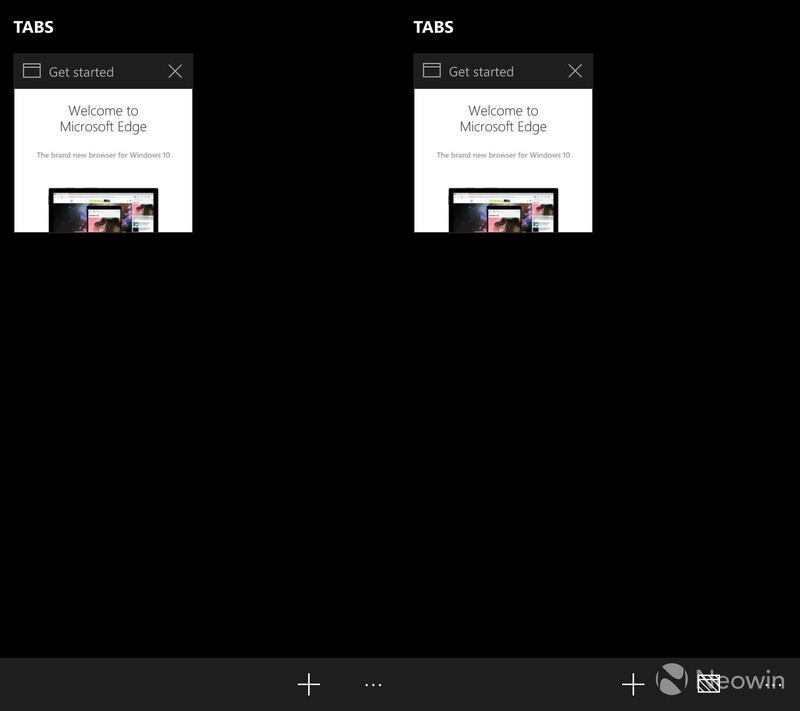 Previously, you needed the Windows Insider app, but no more. In fact, that app won't even work anymore. The new settings page works exactly like it does on PCs, with a slider that allows you to choose between Fast, Slow, and Release Preview rings. You'll notice that some settings have moved around. For example, Glance is under Personalization. Notifications & actions has a lot more stuff, but we'll get to that when we talk about the Action Center. 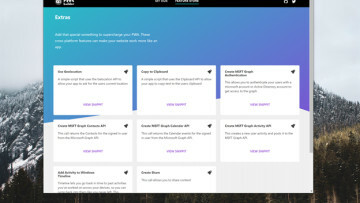 Finally, there's a new page called Apps for Websites. This should allow you to configure certain apps to open certain websites. Sadly, this doesn't do anything at the moment. Presumably, the feature will work better when more developers support it. I'm a big fan of the Action Center improvements that we're seeing in the Anniversary Update. It's much cleaner than it was before. I just mentioned that there are more settings in Notification & actions. These will allow you to prioritize your notifications, setting an individual app to top, high, or normal priority. You can also set how many notifications from that app can be visible in the Action Center. This can be set to 1, 3, 5, 10, or 20. This area will also serve as a page where you can rearrange your Quick Settings. For another thing, you won't see an app icon next to every single notification. Instead, they'll be grouped together, which will also allow you to easily clear them out by app. Notifications can also have hero images now. For example, try setting one of those photo notifications with Cortana. As for third party apps, they'll have to build-in the feature in the future. As I've mentioned a couple times already, the Windows 10 Mobile Anniversary Update isn't as significant as its corresponding PC and Xbox One updates. There are, however, a few more items that are certainly worth mentioning. Microsoft's Edge browser doesn't get the major improvements that it got in the PC update with extensions, but there are some minor refreshes that you might enjoy. For one thing, when you go to open a new tab, there's an icon there to open an InPrivate tab instead. The Update also brings new, as well as redesigned emoji. You'd be hard-pressed to find someone that actually enjoyed the old emoji. The fresh coat on paint on the existing characters is refreshing, to say the least. But also, the Anniversary Update supports Unicode 9, which offers 72 new emoji, including perhaps the most important character in human history, the bacon emoji. While new emoji characters are always exciting and it's good when Windows phones are actually first at something, the drawback here is that you can't actually send a message to anyone with one of the new characters. Android won't have Unicode 9 support until Nougat rolls out, and Apple still hasn't implemented it in the iOS 10 beta. Here's a feature that will be a genuine "finally". The Anniversary Update will finally put media controls on the lock screen. I think the benefits of that are clear, and there's nothing else that needs to be said about it. There's also an overhauled Store experience in the Anniversary Update. It doesn't provide all that much in terms of features, but you'll definitely notice some design changes. Personally, I like the way that it looks and functions, but I also know that many do not. OK, so this one isn't going to affect anyone upgrading to the Anniversary Update, but it's certainly worth mentioning. Windows 10 Mobile will finally support fingerprint readers. It would seem that the first device to use the feature will be the HP Elite x3. If I'm being honest, I've never cared for the idea of an iris scanner on a phone. I've always held to the belief that a fingerprint scanner makes more sense on a phone while facial recognition works better on a PC. In case you haven't guessed, I'm all-in on this idea. I saved the best for last. 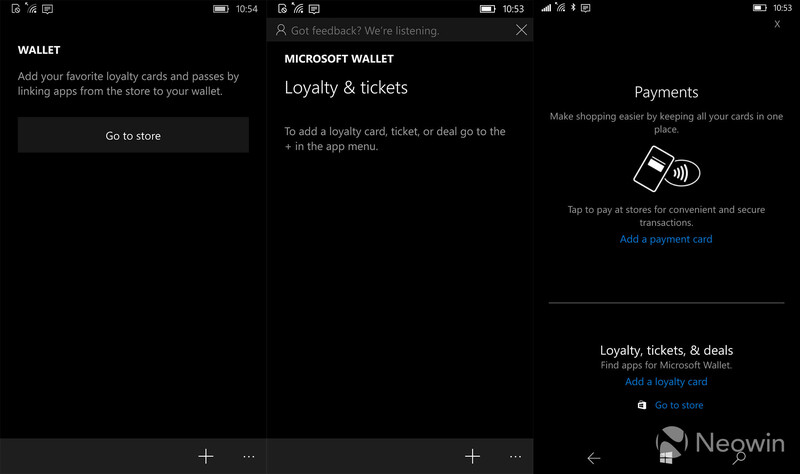 With the Anniversary Update, Microsoft finally catches up with Apple Pay and Android Pay, offering mobile payments. The feature is fairly limited at the moment, as it will require a Lumia 650, 950, or 950 XL for the time being - and you'll need to be in the US. You'll also need to use a card from one of the following banks: Bank of America, First Tech Federal Credit Union, Virginia Credit Union, People's United Bank, US Bank, PNC Bank, or BECU. Support for Chase and Fifth Third Bank are coming soon. I haven't had a chance to try it out yet, as I don't have a card from any of the supporting banks. Clearly, Microsoft doesn't have the same amount of partners that Apple and Google do. I have no doubt that it will get better, however. Microsoft hasn't been shy about admitting that the company didn't focus on Windows phones with this update. In fact, if rumors are to be believed, Redstone 2 is the update that we're all waiting for, which is due in April 2017. Still, the Anniversary Update leaves Windows 10 Mobile in a better state than it was in yesterday. We now have mobile payments, a new Skype app, a couple camera improvements, new Settings, and a few more cool little additions. The Cortana improvements are what really provide value to the Windows platform. Of course, many of the new Cortana features noted here were also made available on Android, and they work just as well. Still, if you're using a Windows phone, you've got a good update coming your way.